A leading student transportation services company relies on Oracle iProcurement to raise Purchase Order Requisitions and procure parts and materials needed to service its massive fleet of 15,000+ schools busses. High volume of requisitions: 500+ requisitions are raised daily by employees in the US alone. Needing to validate every single requisition which negatively impacts performance. Varying approval limits and job titles used between its US and Canadian operations. Disparate systems: budgets are maintained by a separate system outside of Oracle EBS. 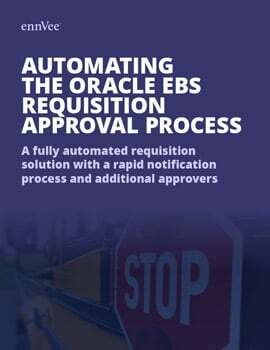 Inability to add multiple approval levels without delaying service to vehicles requiring immediate attention.